Who made the team of the week? The 2015 MLS season kicked off last weekend, with LA Galaxy beating Chicago 2-0, Seattle thrashing New England 3-0, and new boys Orlando and New York City drawing 1-1. (Image) Who Are The Most Popular MLS Teams In All 50 US States? 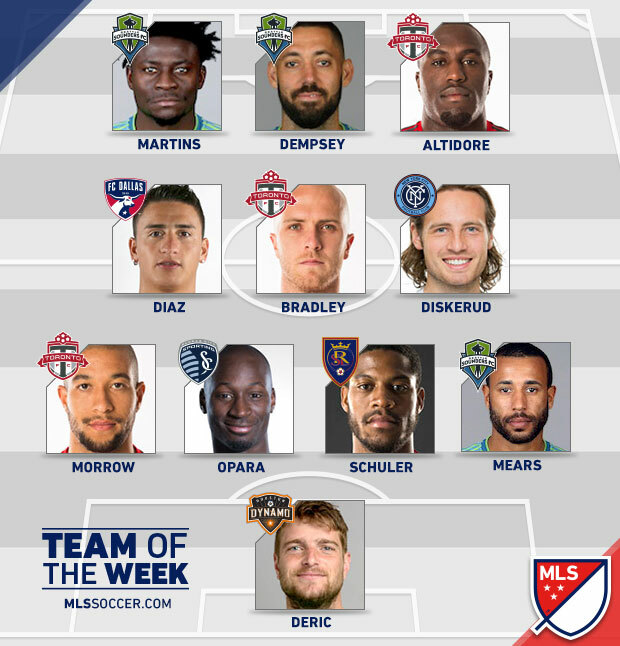 Now the team of the week, as voted for by fans, has been released on the league’s official website – mlssoccer.com. Altidore, Bradley, and Martins all made the cut… How easy are Gerrard and Lampard going to find it? !